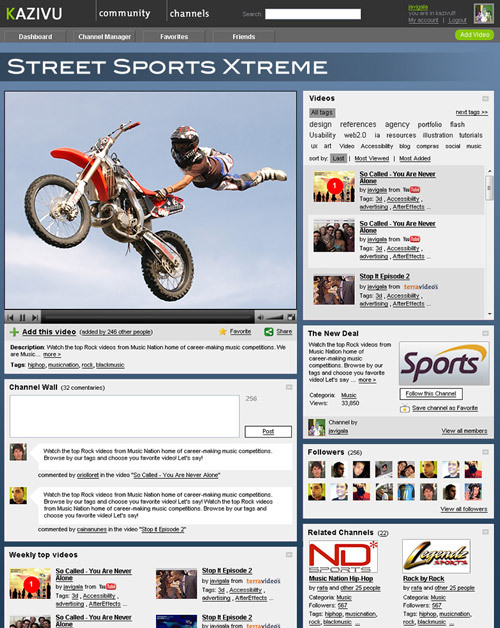 Centralised video bookmarks repository where people could create video channels and share them without having to worry about each video service idiosyncrasies. 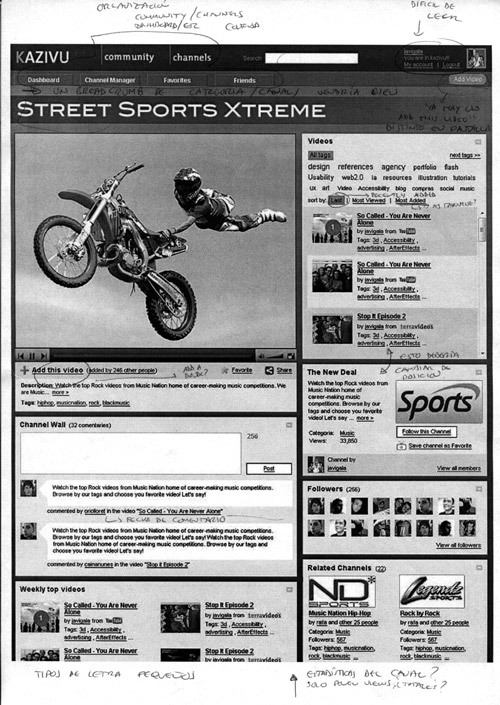 In 2007 online web video and Web 2.0 were the buzz-words of the moment. Lots of different video providers allowed people to upload and share their videos, but the experience was fragmented. Terra LATAM (Latin-America) was looking to improve its web 2.0 presence and asked Telefónica I+D (R&D) to create a “video bookmarking” service where people could create personal channels, gathering videos from any provider on the Internet. Videos could then be tagged and shared from the site, with no need to keep track of tenths of different providers and their different interfaces. 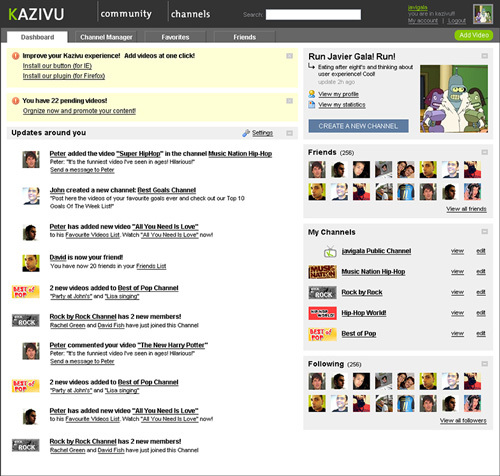 The service was called Kazivu, and it was meant to be a “social video bookmarking” service, like a Delicious for videos, emphasizing the idea of particular users as collectors of interesting videos around the web. 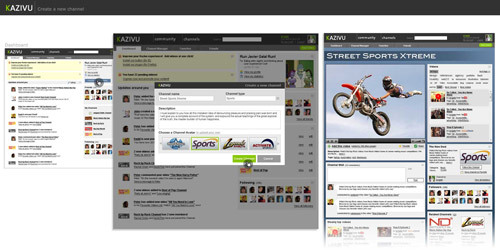 Also Kazivu would become the unified search engine for videos across different providers. Terra LATAM had a very clear idea of what they wanted, so I acted as Information Architect, creating the site structure and then defining the layout of the main pages. 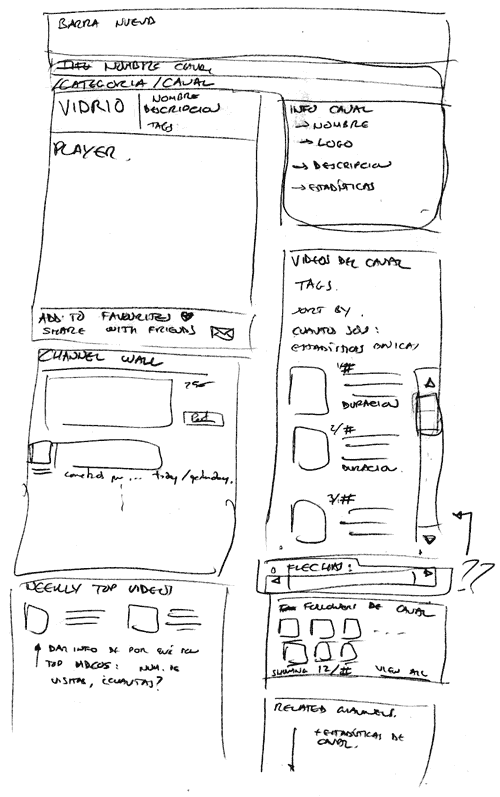 Hand-drawn wireframes were created for the main pages. These were turned into visual mock-ups by Visual Design team. Heuristic reviews were performed on the visual mock-ups. Results were circulated with proper review documents, together with annotated screen captures for emphasis on quick feedback. 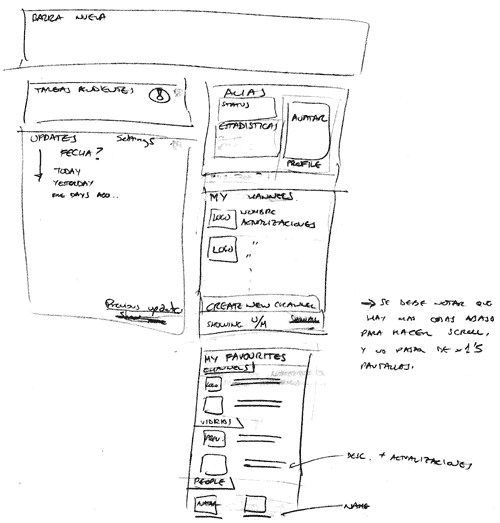 After this quick idea-to-website-definition process, Terra team took the design leadership. 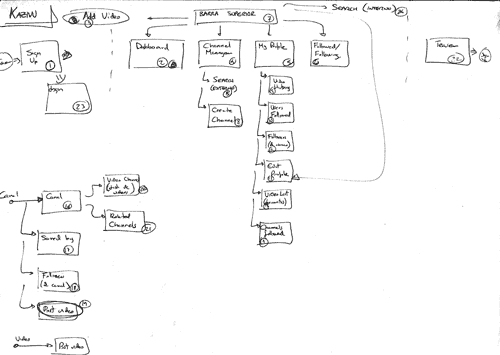 Information Architecture experience, turning a concrete idea to a full website definition through sitemap and wireframes. Working in a limited environment where customer had a clear idea of what he wanted and allowed few deviations.